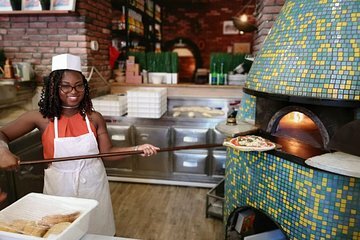 Get personalized attention from a chef/guide during this pizza-making class in Rome. You'll learn so much more about the history and culinary culture of pizza than you would simply trying a slice at every pizzeria in town. Learn the ultimate pizza-making secrets from the chef and then taste your creations. You'll walk away with the expertise to continue making amazing pizza at home.